At Murthal, the parantha is to the highway what Maggi is to the hills, and the paranthas here have become the epitome. 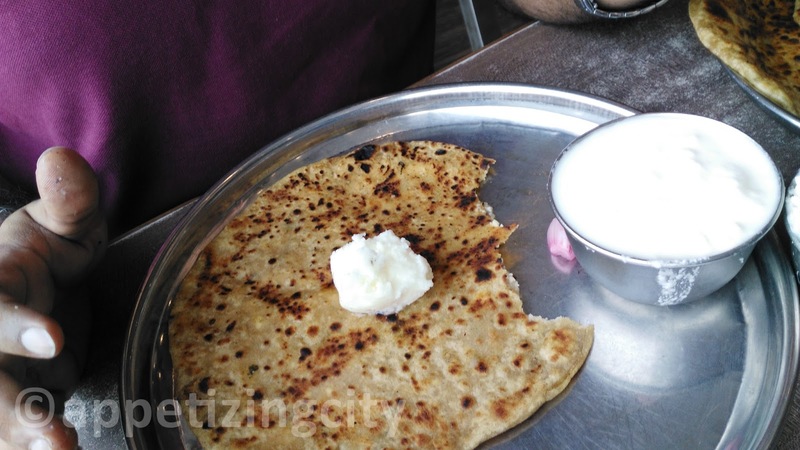 Most of my friends have been to Murthal and all I have heard is how they go GaGa over the Paranthas. So, it was time, I tasted them too.. There is ample space to park your cars / bikes. 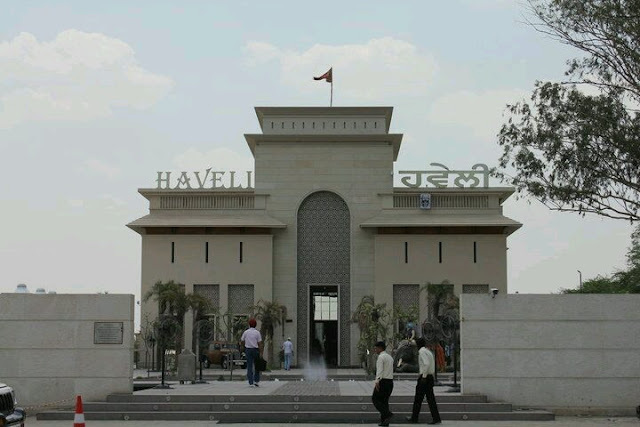 Along the parking area, are small Handloom, Pickles, Foot-ware, Garments and Gift items shops. 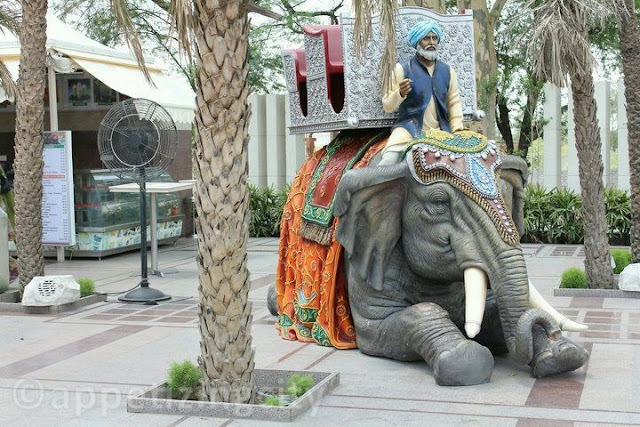 The Dhaba no longer looks like a normal Dhaba should look. Its revamped. There is a dining space which is divided into open space, AC and Non AC. The AC and Non AC have waiter service while the open space calls for self service. Washrooms and ATM facilities are available too. The menu has everything to offer from Tandoor Paranthas, Pakoras, North Indian, South Indian and Chinese. 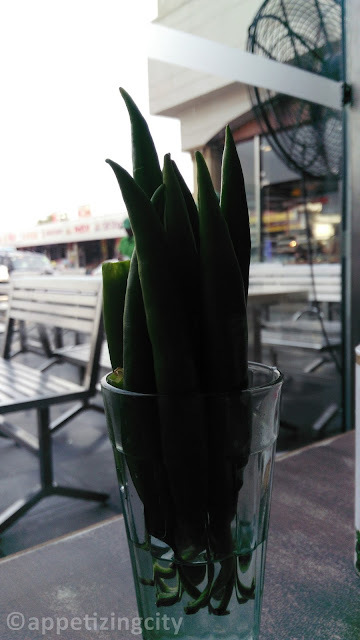 Every table has a glass with Green Chillies stacked together. Pyaaz (Onion) Parantha, Hari Mirch(Green Chily), Aaloo Pyaaz(Potato-Onion), Paneer(Cottage Cheese) and Gobhi (Cauliflower) Parantha, Aaloo poori and Chole bhautre are the hottest picks here. 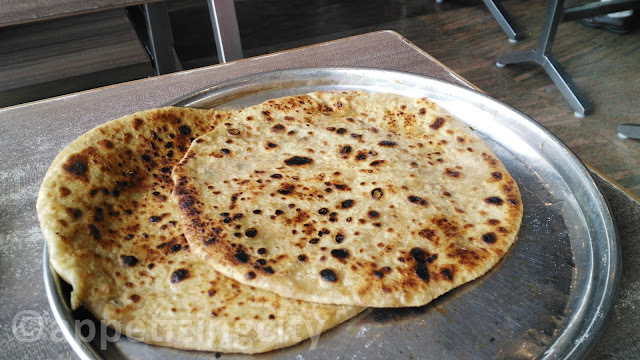 If you are looking for something spicy and different in Paranthas, then Mirch Parantha and Mix parantha are recommended to try. 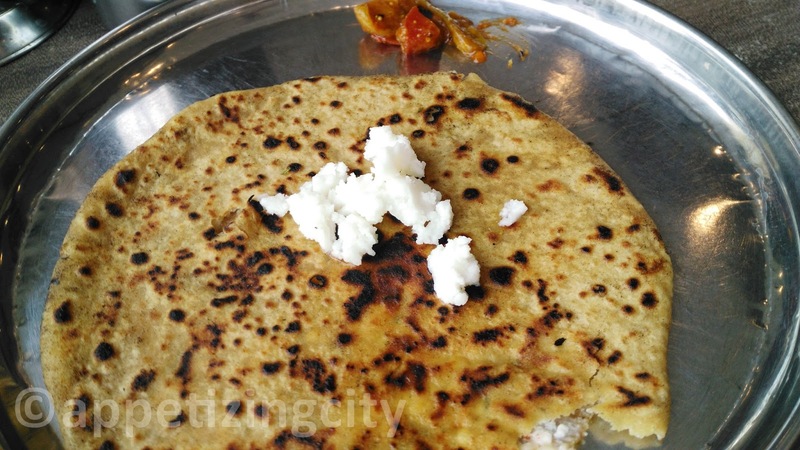 We tried Paneer (Cottage Cheese) and Aloo Pyaz (Potato Onion) Paranthas. They were served with their mix pickle and white butter. White Butter - Yum. Don't forget to have Tea because it's so superb. 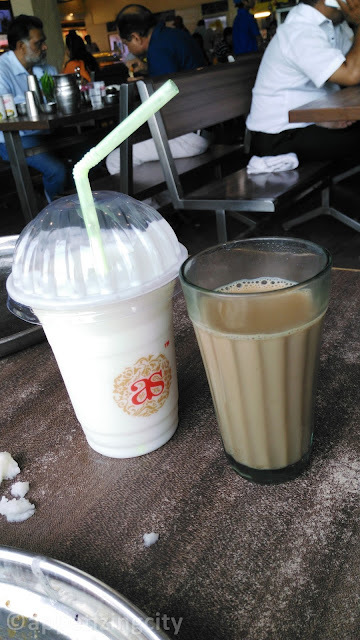 Lassi is another drink that can be tried but only if you have some space left in your tummy. Prices are reasonable and wont hurt at all. Overall, for me, Amrik Sukhdev is a bit over-rated. 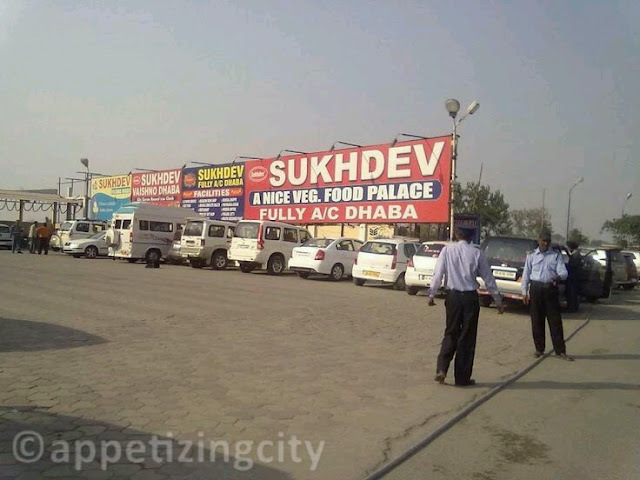 I would like to try other Dhabas too located in the area. Must try? Mirch Parantha (as recommended by a travellor) and Tea.